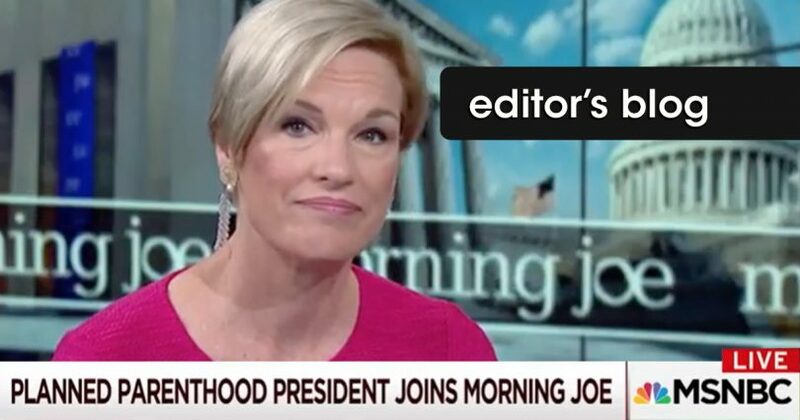 Cecile Richards of Planned Parenthood appeared on Morning Joe this week. It was another segment of the same old same old. The panel lobbed a bunch of softball questions at Richards, providing her yet another opportunity to recite the PP narrative. With the repeal of Obamacare on the horizon—and the very real possibility of defunding PP of taxpayer money for at least a year—Richards has doubled down on the rhetoric regarding how devastating defunding PP would be to women’s healthcare. This clip begins with Richards’s silly observation that the new healthcare bill is being put together mostly by men, implying an unsound argument that I have addressed before (see here). Richards then talks about access to affordable healthcare. She states that PP did over 300,000 breast cancer screenings and detected over 70,000 cancers last year—something that she alleges would not have been possible for all those women had PP not been there. 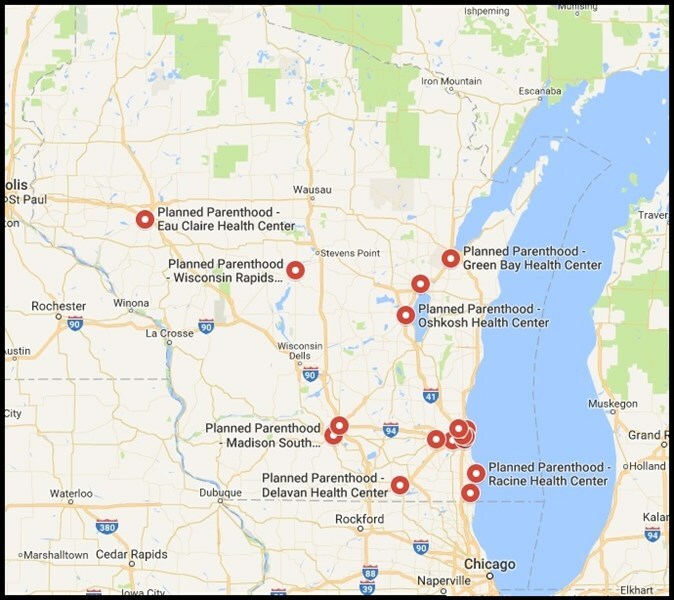 When asked if there are places where PP is the only option and could be demonstrated on a map, Richards responded, “Oh absolutely!” She then said that was the case in Paul Ryan’s own district. Um…yeah, that is just not true. 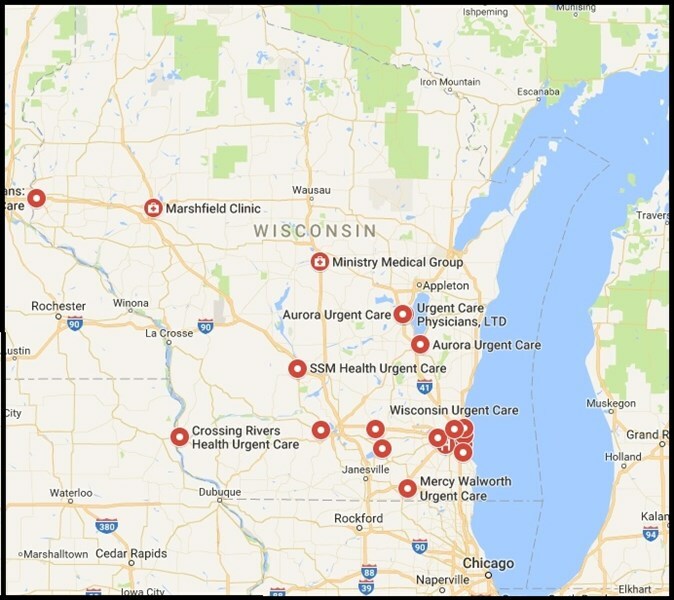 I have made some images of PP clinics in Wisconsin—there are currently 22—along with walk-in clinics and urgent care centers. 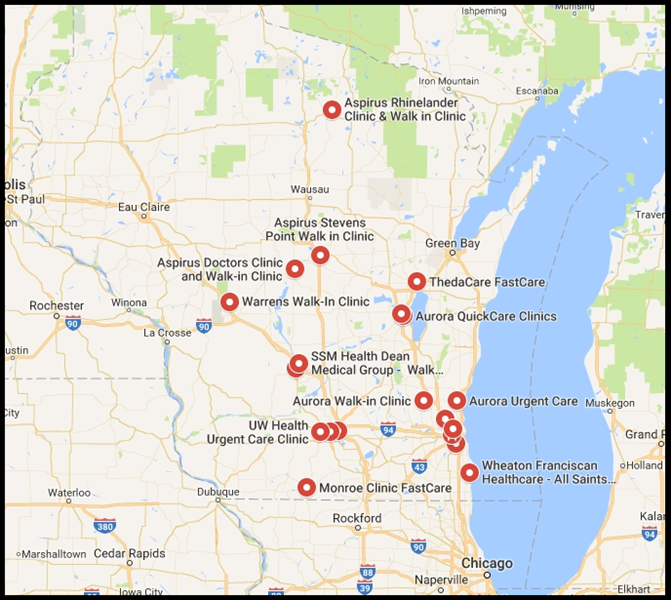 The few legitimate healthcare services PP offers can be found elsewhere. The organization is not the crucial healthcare provider it and its diehard supporters pretend it to be. PP is an abortion machine…and regardless of what anybody might say to the contrary, most people know that. It is one of the reasons PP is on the verge of losing taxpayer money. How much do Planned Parenthood CEOs make?